‘Couture is not the word most people associate with fast food chain McDonald’s, but in a new collaboration with renowned designer Julien Macdonald. 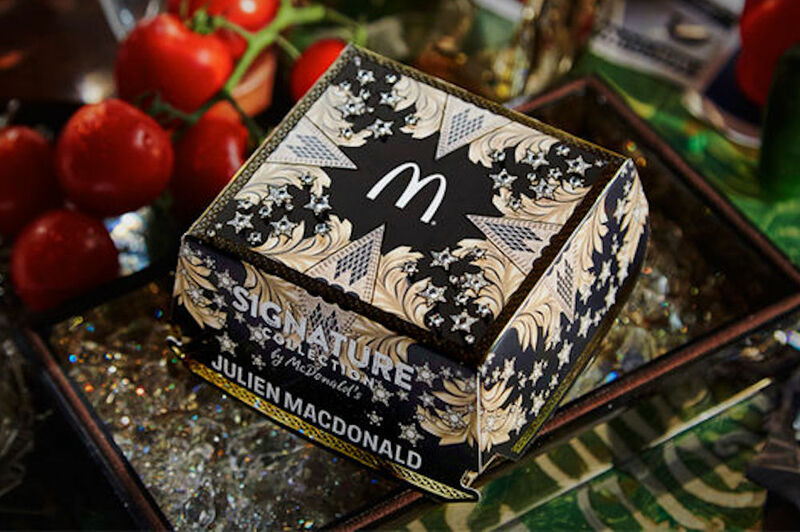 Macdonald created a specially designed box in a chic black and gold design, though only 1000 will be available in McDonald’s restaurants around the U.K. The boxes will house the franchise’s new gourmet burgers: The Classic, The BBQ and The Spicy.